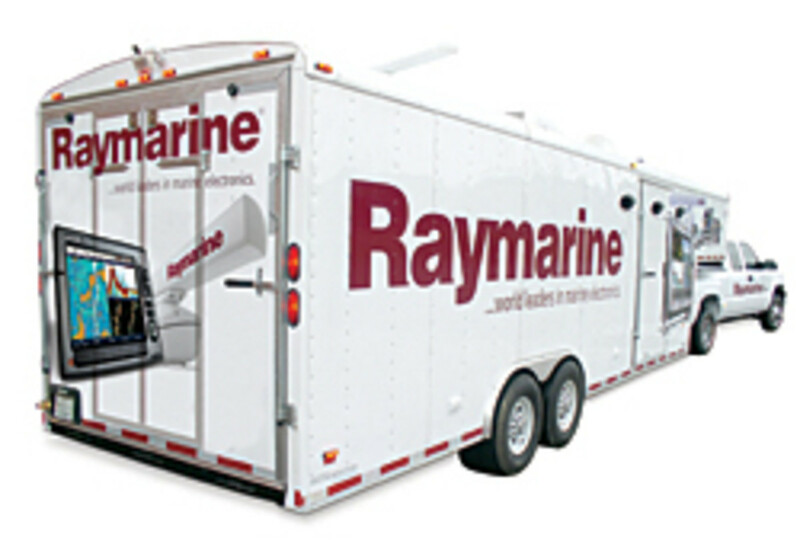 Raymarine is taking its products on the road this spring. The company announced that the Raymobile mobile showrooms have started their 2010 tour, traveling to retailers, dealers and fishing events around the United States, according to a recent press release. "This year we&apos;re expanding the Raymobiles&apos; routes to include the Great Lakes region and West Coast, giving more boaters and anglers a chance to check out our latest equipment," said director of marketing Jim Hands. "The Raymobiles offer customers a convenient and fun way to try out Raymarine&apos;s extensive product line, interact with the Raymarine team of experts and take advantage of exclusive Raymobile product promotions." The Raymobiles are 32 feet long and equipped with products including the A-Series, C-Series Widescreen and E-Series Widescreen Multifunction Displays. Boaters can also learn about the company&apos;s advanced HD digital fishfinder and radar technology and test-drive the X-Series autopilots. The Raymobiles also come equipped with satellite television systems, and an indoor helm.